From juicy ribs to spicy hush puppies, here are nine Southern foods to make for a weekend with the new President of the United States. South Carolina native Frank Underwood is back. From juicy ribs to spicy hush puppies, here are nine Southern foods to make for a weekend with the new President of the United States. What's the secret to this delicious Southern staple? High-quality sharp cheddar and sweet onions like Vidalia or Walla Walla. Frank Underwood would love these juicy ribs. New Orleans chef Justin Devillier upgrades the classic Southern cheese straws with spices like cardamon, ground coriander or fennel seed. These spicy hush puppies are cheekily nicknamed "shut-your-piehole" puppies. 5. Fried Okra with Sweet Chile Sauce Even the most vehement okra hater will be a fan of these crispy fritters. Cornstarch gives this fried chicken its perfectly crunchy crust. 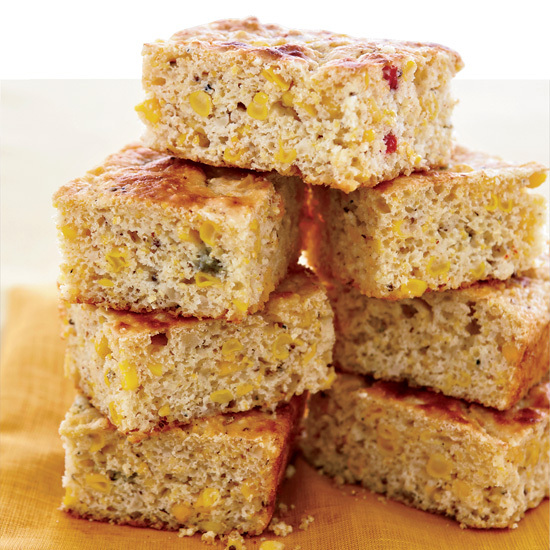 Corn relish with roasted peppers provides the seasoning for this quick, slightly sweet bread. This delicious recipe imitates buttery, movie theater popcorn. Goo-Goo clusters, a peanut-candy invented in Nashville, are the inspiration for these delicious cookies.